Production starts with a DC (Direct Chill) casting operation. As the overall efficiency of the processing route is to a large degree determined by batch size, it is usually aimed for the largest ingots that can be processed in the hot mill. The resulting ingots are characterized by a coarse cell size and constituent particles of eutectic precipitates of Al-Mn-Fe-Si phases. Due to grain refinement, a close to random texture is usually observed. The conventional processing route for the production of Al-alloy sheet is depicted in Figure 1 together with the corresponding typical microstructures of non-heat treatable Al-Mg-Mn alloys. Production starts with a DC (Direct Chill) casting operation. As the overall efficiency of the processing route is to a large degree determined by batch size, it is usually aimed for the largest ingots that can be processed in the hot mill (e.g. in excess of 30 tons at AluNorf/Germany). The resulting ingots are characterized by a coarse cell size and constituent particles of eutectic precipitates of Al-Mn-Fe-Si phases. Furthermore, the local variations in the DC casting process impose certain variations in microstructure throughout the slab. Due to grain refinement, a close to random texture is usually observed. 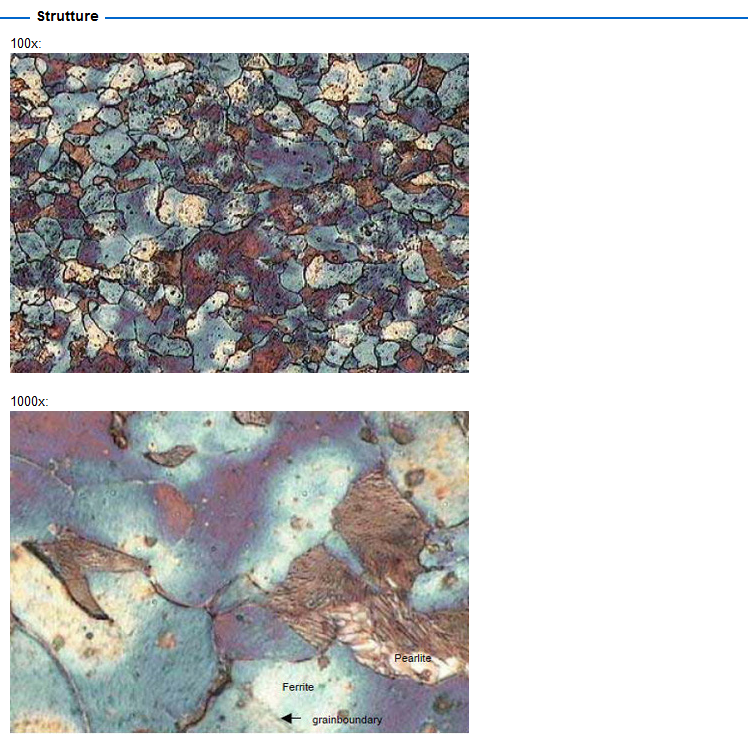 Figure 1: (a) Principle processing steps of the conventional sheet production route of Al alloys and typical microstructure evolution, in terms of (b) grain structure, (c) constituent and dispersoid particles and (d) texture. The ingots are scalped on their (later) rolling surfaces in order to remove surface blemishes. In preparation for the hot rolling, the ingots are then preheated to a temperature between 480°C and 600°C. Depending on the temperatures achieved internal stresses are relieved and elements in supersaturated solid solution (e.g. Mn, Fe, Si, Cr, ...) are precipitated. Also micro-segregation is reduced to some extent by diffusion processes and primary phases are somewhat rounded in their form and sometimes transformed in their constitution. When the alloy is held at high temperature for a sufficient time, precipitates may coarsen. As the dispersoid size strongly affects final material properties, it needs to be controlled by optimum heat treatment conditions. From homogenization temperature the slab is usually allowed to cool down to the hot rolling temperature. This may lead to a further reduction of elements in solid solution and growth of dispersed particles. 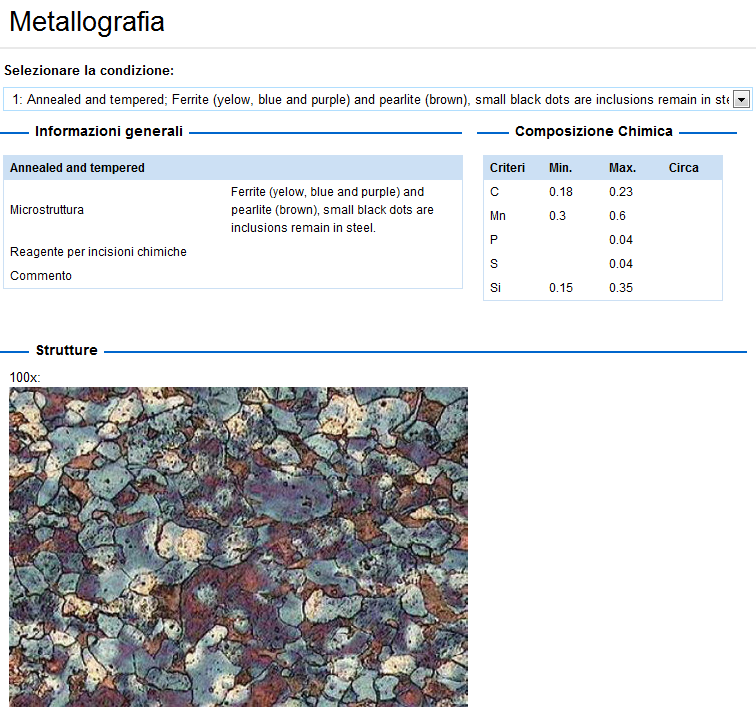 The microstructure state of the slab before hot rolling can significantly influence the subsequent microstructure evolution by affecting recrystallization mechanisms and kinetics and thus also final properties in a number of alloys and product groups. Conventional hot rolling is performed either on a single-stand reversing mill or on a roughing reversing mill followed by a multi (2-4) stand tandem finishing mill. Temperature needs to be adjusted in a way that high reductions can be achieved and recrystallization and precipitation will occur under controlled conditions. During conventional hot rolling, the coarse as-cast structure is transformed into a deformed or recrystallized structure of considerably finer grain size, mostly with a pronounced cube texture. The hard coarse constituent phases are crushed and aligned and evenly distributed – together with the fine dispersoids formed during homogenization. Decreasing temperatures during rolling and severe plastic deformation may lead to further precipitation reactions of phases from the over-saturated aluminum matrix. The final cold rolling flattens the grains, strain-hardens the material (i.e. forms a typical dislocation/sub-grain structure), generates the typical fcc rolling texture and further crushes and aligns the particles. Intermediate annealing treatments may be necessary between the rolling passes to reduce strain hardening especially of highly alloyed sheets. 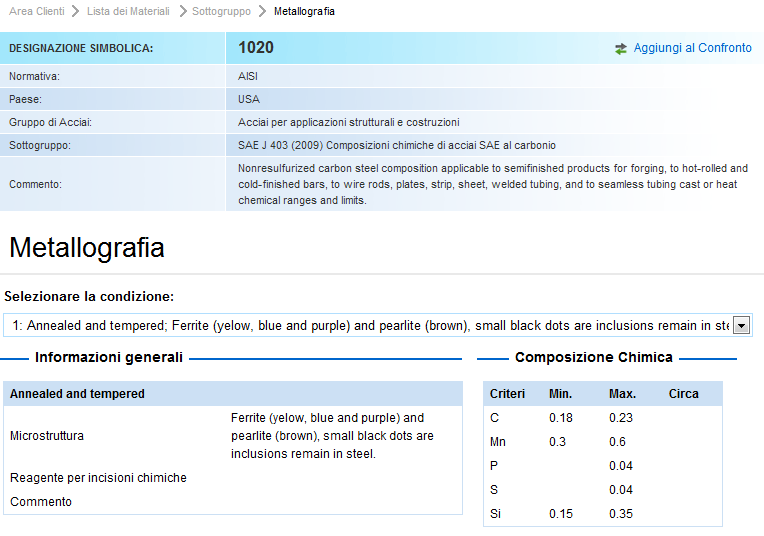 Besides alloy composition, the microstructure elements of grains (size, substructure and texture) and particles (constituents and dispersoids) are the principal factors controlling material performance in use and during most of the following forming operations. Besides flow stress data compression tests can also provide good insight into the microstructure response under well-defined test conditions (including holding times). Effects of local deformation, recovery and recrystallization can be analyzed by metallographic and other suitable methods (SEM, EBSD, ...) by inspecting the compressed specimens. The evaluation of the inhomogeneous deformation patterns by iterative FEM calculation does not only yield an improved flow stress evaluation, but additionally the corresponding variation in recrystallization kinetics and resulting microstructures can be analyzed within one sample. Holding the sample for a defined time at temperature after compression leads to local variations in the amount of recrystallization and resulting grain size that correspond to the local variations in strain, temperature and strain rate history. In this way the grain structure evolution can be analyzed in uniaxially compressed samples (Figure 2) and the results can be transformed to hot rolled samples of comparable strain history by a von Mises strain transformation. However, the texture evolution, which also needs to be considered for a complete determination of flow stress data is not accurately simulated by these samples due to the different strain geometry. While in compression a <110> fiber texture is formed that recrystallizes into a <111> and <100> fiber texture, in rolling a more complex β-fiber texture is formed that recrystallizes into a dominant cube texture. Figure 2: Progress of recrystallization and resulting grain structure of AlMg5Mn after hot compression at various temperatures and quenching after holding times indicated (strain ε = 1, strain rate dε/dt ∼= 50 s−1). In principle, these effects can be simulated with sophisticated simulation tools, yet for most practical applications experimental data (from laboratory and plant rolling trials) have been applied and semi-empirical descriptions are mostly used. Microstructure and texture evolution during hot rolling are controlled by the recrystallization processes involved, which critically depend on the four main process parameters temperature θ, strain ε, strain rate dε/dt, and inter-pass holding time tp (Figure 3a). Details on recrystallization kinetics can be obtained from the described laboratory hot forming tests, where the microstructure evolution is investigated as a function of these four main process parameters (Figure 3b). 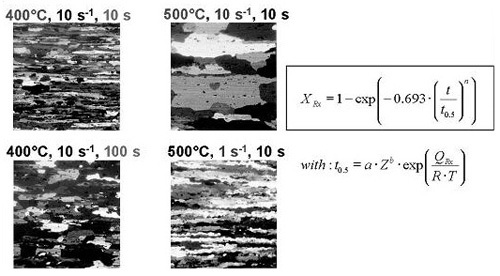 Figure 3: (a) Grain structure after hot compression at various temperatures, strain rates and holding times, (b) quantitative description of the recrystallized volume fraction XRX. 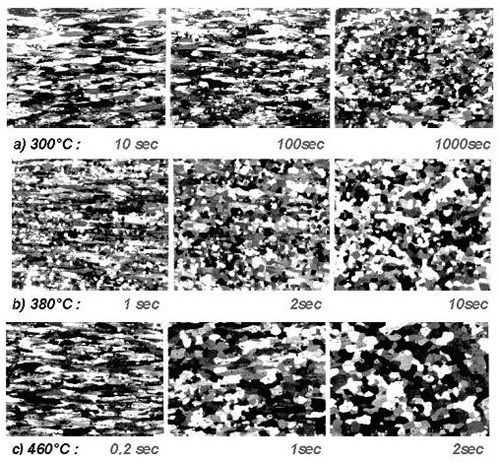 Recrystallization kinetics are evaluated on a number of deformed samples held for various defined times at temperature and subsequently quenched (Figure 2). These experiments show the dependency of grain size on temperature, strain and strain rate. A quantitative description of the recrystallization kinetics and resulting microstructure evolution (grain size, texture) can be given by help of semi-empirical equations. 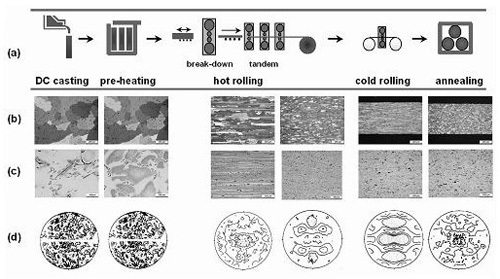 Integrated into a computer model of the hot rolling process it can be applied to predict the corresponding microstructure evolution and the effects of variations in hot rolling parameters. In most commercial aluminum alloys dynamic recrystallization does not occur. Only under very specific hot deformation conditions (high θ, low dε/dt) may grain boundary fluctuations occur in specific alloys with high Mg content (Figure 3a). The fluctuations are caused by local grain boundary motions during hot deformation, resulting into geometrical effects of dynamically formed new grains. In most cases, however, genuine, or post-dynamic, recrystallization takes place as the main process occurring immediately after hot rolling or in-between hot rolling passes. In modern tandem hot rolling lines the hot band is produced on connected rolling stands in steps of up to 50% reduction with increasing rolling speed so that towards the final passes high strains and strain rates can partially compensate the drastic decrease in temperature. Accordingly, mills can be run in a process window that ensures a desired amount of recrystallization on the coil ("self-annealing") for most Al-alloys. The recrystallization characteristics (kinetics, texture changes) depend on the stored energy accumulated over the passes and on the temperature development during cooling on the coil. Hence, it is important to take the whole series of finishing passes into account which can be achieved best when integrated thermomechanical/microstructure simulation models are applied.